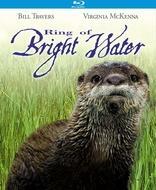 William Travers and Virginia McKenna, the husband-and-wife team who starred alongside Elsa the Lion in Born Free, now share the screen with Mij, a delightfully mischievous otter who'll enchant viewers of all ages in this bright, "wholesome" (Cue), "captivating and endearing" (Video Hound's Golden Movie Retriever) film! Middle-aged bachelor Graham Merrill (Travers) has a nice, quiet life in London, but his fun-loving new roommate Mij is about to change everything! Curious and playful, this otter has better things to do than sit around a stuff apartment, so Graham decides to move to the coast of Scotland where Mij can frolic to his heart's content. Once there, they meet Mary (McKenna), and the unlikely trio begins an incredible journey of friendships and discovery that will transform each of their lives forever!